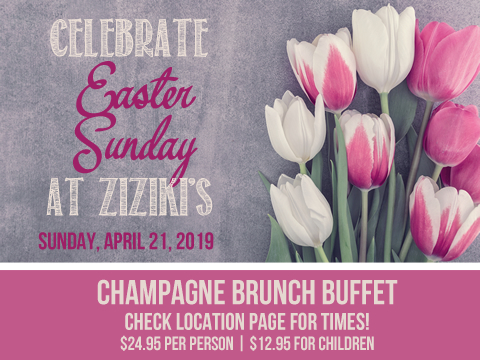 Celebrate Easter Sunday with a Champagne Brunch Buffet at one of our Ziziki’s locations. We have prepared a lavish buffet with all of your Ziziki’s favorites and traditional breakfast items with complimentary Mimosas, coffee, tea and desserts. Buffet only. No menu service during Easter Brunch. Plano and Frisco are serving the Easter Brunch from 11AM to 3PM. Travis location is 10AM to 4PM and Preston/Forest location is 11AM to 4PM. Make your reservations early and reserve your table for this special occasion. Brunch is served 11AM to 3PM on weekends. 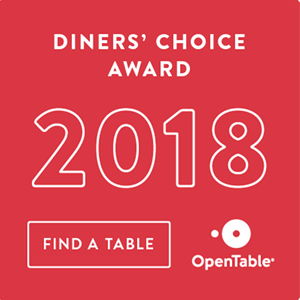 Join us for our award winning champagne brunch. Dallas Travis Walk location offers the brunch buffet on Saturday and Sunday. Preston and Plano locations offer the brunch buffet on Sunday. The brunch buffet includes Ziziki specialties and traditional and Greek breakfast favorites. I’ts a perfect blend of breakfast and lunch food. $24.95 per person and $12.95 for children 11 and under. Champagne & unlimited Mimosas and buffet included. 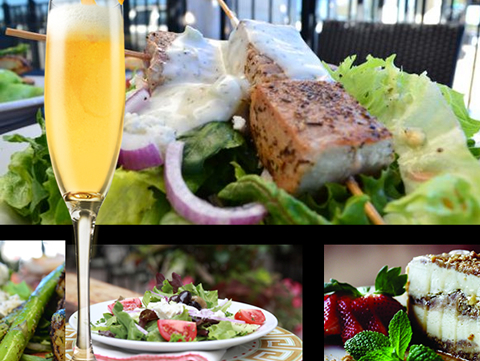 Frisco offers a la carte brunch items on the menu on Saturday and Sunday with $1 mimosas. Cheers! Enjoy Happy Hour specials Monday through Friday from 3PM to 6PM at Travis and Preston locations. Plano has Happy Hour Monday through Friday from 5PM to 7PM. Frisco location has Happy Hour 6 days a week Monday through Saturday from 5PM to 7PM. 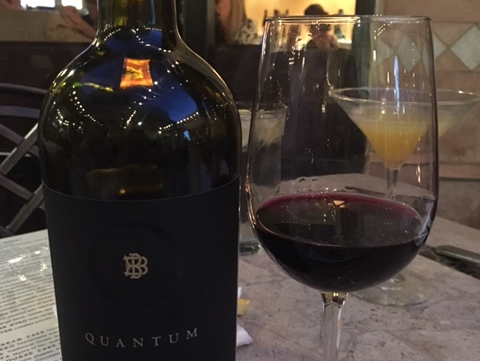 We offer $5 well drinks and select glasses of wine. We also have $5 appetizers like Ziziki Bread, Mediterranean Pita, Artichoke Dip & Pita, Dolmades and Spanakopita. 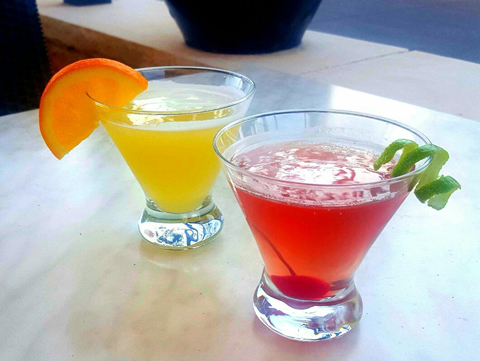 Frisco location also offers half priced Ziziki’s martinis on Thursday and Friday 5PM to 7PM plus $5 glasses of house wine with dinner on Saturdays and $1 Mimosas with brunch on weekends. Ziziki’s boasts a robust, boutique wine cellar that is heavy on biodynamic Greek and Italian wines. 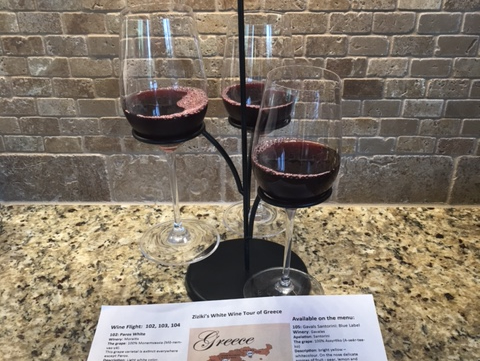 Our Greek Wine Flights are a unique way of taking a tasting trip around Greece. Select from either 3 reds or 3 whites. Each flight comes with an informational sheet about the wines you selected complete with history and maps of the wine region. 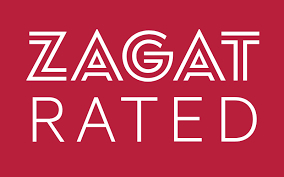 Every Monday and Tuesday night Ziziki’s offer select wines by the bottle at half price! Save 50% on bottles of wine under $100. There’s no better way to start the week than with half-price bottles of wine from a select list! Grab a friend and share this deal because the only thing better than drinking wine is drinking wine at a great value!